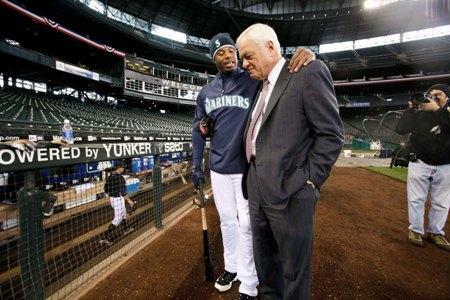 Ken Griffey Jr. puts his arm around Mariners team president Chuck Armstrong before a baseball workout in 2009 at Safeco Field. Their close relationship came under scrutiny last year, following Griffey’s abrupt retirement from baseball. KPLU sports commentator Art Thiel says it's not clear exactly what Griffey will be doing or when he will start. KPLU reported the Mariners' announcement Tuesday that Griffey's role is still being defined, but he'll be involved with the team at spring training and the regular season, along with visiting most of the Mariners' minor-league affiliates. He is also expected to be involved with marketing, broadcasting and community relations. In his column this week at the website Sportspress Northwest, Art had some fun with what Griffey's exact role with the Mariners would be. But he says there are some serious issues that need to be resolved. "They want Griffey around and I don't begrudge them that because all baseball clubs like to have their iconic figures from the past to be involved in some way. But it's really hard to do that right now when the wound is still raw from Griffey's last act as a player, which was to walk away in midseason last year without a word to anyone. Griffey really needs to explain himself about why he thought that was the best thing to do." Art says Griffey's close relationship with Mariners team president Chuck Armstrong got in the way last year. He says Armstrong didn't have the heart to tell Griffey that things weren't working out, and Griffey took out his frustrations on then-manager Don Wakamatsu. When Griffey decided to call it quits, he just left - without any official word to anyone in the team's front office or the clubhouse. Art says, even if Griffey didn't want to have a press conference or big public farewell, he should've sat down with the team's management and said he was leaving. 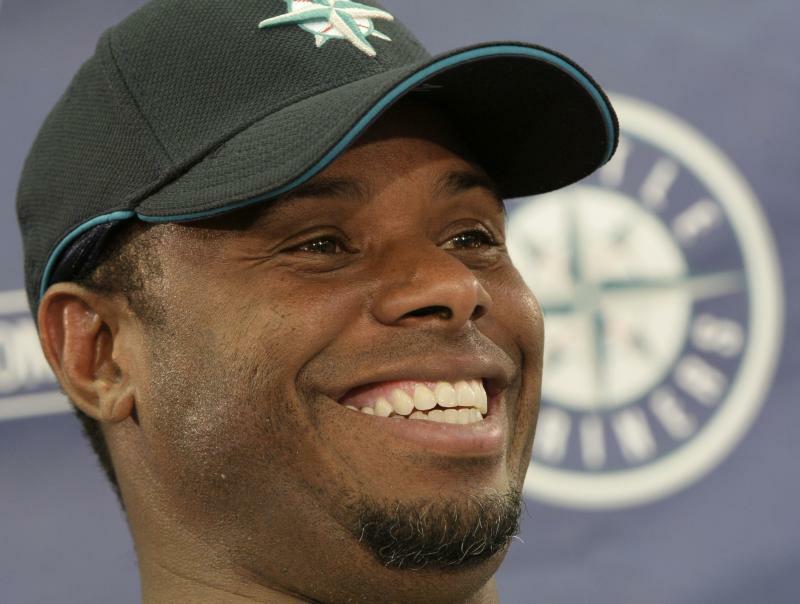 Ken Griffey, Jr. is returning to the Seattle Mariners as a special consultant less than a year after abruptly retiring from baseball. The Mariners made the announcement Tuesday morning.